SimDesigner helps the user to step away from a paper based scenario and move towards an electronic (pre-programmed) scenario. Our online promotions are designed to save you both time and money with the added convenience of ordering online. 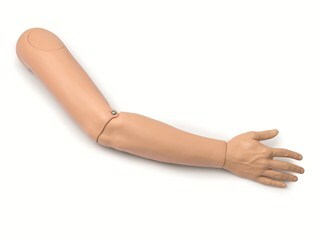 Right plain arm with injectable deltoid pad and plain forearm pad to fit adult male manikins. Privacy settings/cookies © 2001-2019 Laerdal Medical. All Rights Reserved.